For professional aerial photographers, 2015 is looking like the Year of the Drone. While the industry is holding its collective breath in anticipation of new Federal Aviation Administration (FAA) regulations on the commercial use of drones, the technology itself is moving forward very quickly. This spring saw Wyoming-based production company Brain Farm unveil a souped-up drone outfitted with a $110,000 camera system, capable of providing images at a resolution and speed heretofore unseen in unmanned aerial systems (UAS). At the other end of the spectrum, on March 8, the Chinese company Da-Jiang Innovations (DJI) introduced the newest model of its most popular drone, the Phantom. Lightweight, inexpensive and now sporting the most advanced camera system of any consumer drone, the Phantom 3 is a game-changer in its own right. 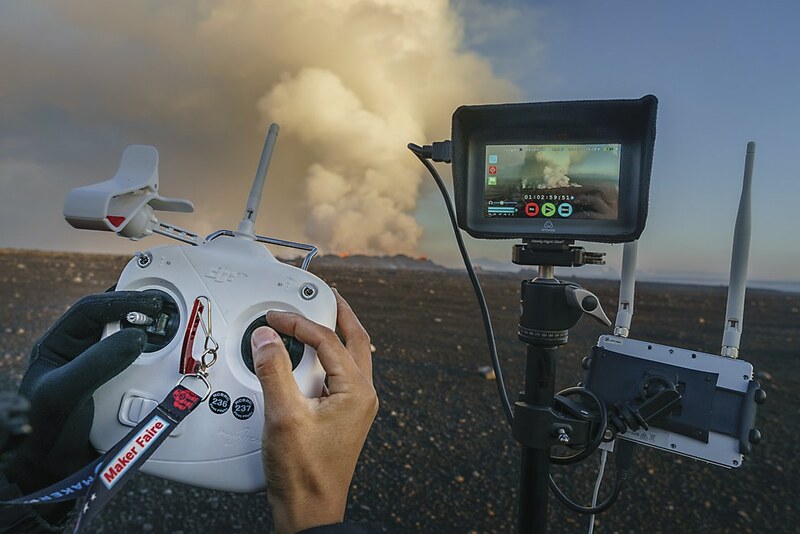 In 2014, Icelandic landscape photographer Ragnar Sigurdsson collaborated with DJI’s head of aerial imaging, photographer Eric Cheng, on a project shooting from directly above a volcanic eruption in Iceland. Broadcast on ABC’s Good Morning America, the breathtaking footage was a particularly effective way to demonstrate the ability of UAS to provide new perspectives on our world. 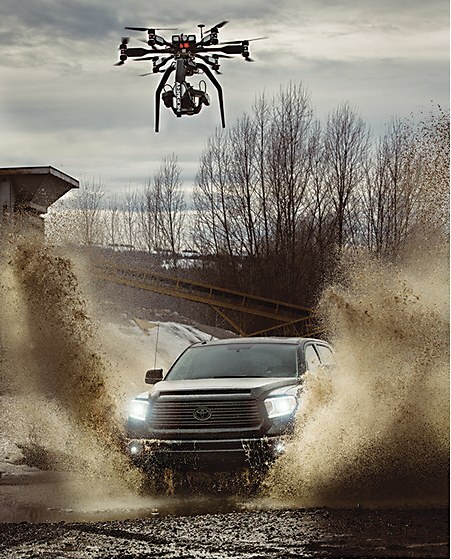 Emmy Award–winning production company Brain Farm gave wings to its prized Phantom Flex4K HD slow-motion camera in a Wyoming-style test flight with some heavy machinery and a whole bunch of mud. Swedish manu­facturer Intuitive Aerial partnered with Brain Farm to build the first drone able to carry the heavy weight of the high-quality camera. New Zealand–based travel photographer Amos Chapple also saw the writing on the wall and took advantage of what may later be thought of as a “golden age” of drone photography before flight restrictions were put in place. Over the course of two years, he shot aerials around the world with a DJI Phantom, capturing awesome images of famous landmarks from heretofore unseen vantage points. Maryland-based aerial photography project Elevated Element is the brainchild of husband and wife team Terry and Belinda Kirby. Together they design and build drones, and they published a book on drone photography in 2013. “The development of new technology is what we really see driving the industry,” Terry says. 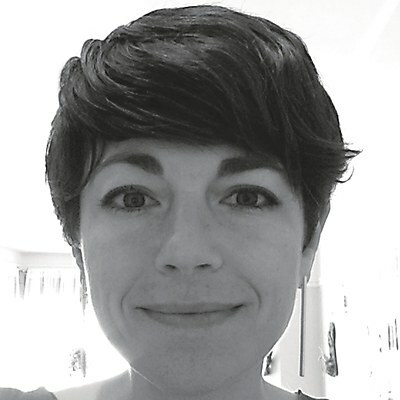 “I can recall a time when the vast majority of civilian [UAS] didn’t even have GPS. Today, that is a standard that many other features hang off of and allows for advanced function­ality, such as autonomous flight.” The Kirbys handle increasingly diverse requests for everything from “cinema-quality video to 3-D scanning and infrastructure inspec­tion,” Terry says. He recently provided 3-D captures of archaeological dig sites. Established aerial photographers are also embracing the brave new world of UAS—not to replace helicopters, but to expand the possibilities available to them on any given project. British travel photographer Peter Adams has almost 30 years of professional experience, and he cut his teeth working for clients like National Geographic and Canon. When reached, Adams was on assignment in southern Africa, preparing to shoot aerials over the sprawling Okavango Delta in Botswana. To his mind, embracing new technology is just part of the job. Hovering just 380 feet above the bubbling fires of Iceland’s Bárðarbunga volcano, photographer Eric Cheng’s drone camera offered Good Morning America viewers a live, never-before-seen view inside an active crater. 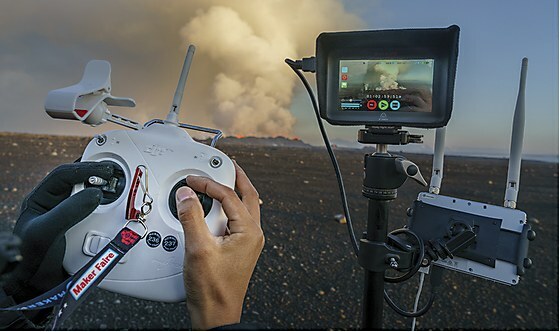 Standing safely almost a mile from the lava fields, Cheng piloted DJI’s Phantom 2 drone remotely via DJI’s Lightbridge wireless video transmitter. “At the end of May, I’m doing some aerial shots and footage of the white horses of [France’s] Camargue... we’re most likely to attempt this with a drone,” he says, because it “offers a great deal of flexibility and cost savings, particularly as I haven’t yet found a [helicopter] nearby our shoot location.” He says the team will likely hire a professional drone operator, as he hasn’t had time to practice with one yet. 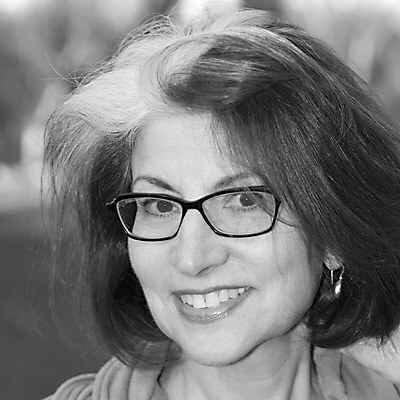 For commercial photographers who want to shoot in the United States, however, the regulatory climate remains an obstacle, and many are taking a wait-and-see approach. The FAA currently authorizes drones for commercial and business purposes strictly on a case-by-case basis. The regulatory web only gets stickier at the local level, with many city and state legislatures passing bills limiting the use of drones. 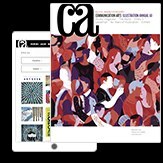 “I have been using [drones] for about a year, but I haven’t shot commercial jobs with them because of the current FAA regulations,” says Cameron Davidson, a veteran aerial photographer whose work has appeared in magazines such as Wired and Vanity Fair and on a commemorative USPS stamp.